Non-enveloped, capsid of 50 nm in diameter with a icosahedral T=27 symmetry . 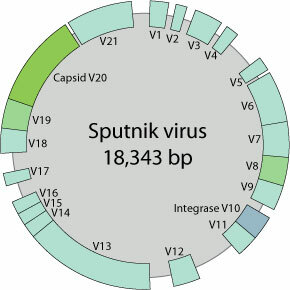 Circular, dsDNA genome of of 18.3 kb. Encodes for 21 ORF. HOST Protists infected by mimivirus.